Be the first to share your favorite memory, photo or story of Victoria. This memorial page is dedicated for family, friends and future generations to celebrate the life of their loved one. 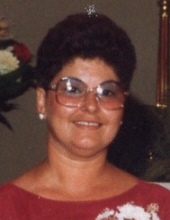 Victoria Ann DeGroft, 71, Whitehall Road, Littlestown, PA passed away Sunday, April 7, 2019 at Transitions Healthcare, Gettysburg, PA.
She was born September 27, 1947 in Gettysburg, PA the daughter of the late William and Viola Lockman Baker. Victoria is survived by her husband of 52 years, Ronald V. DeGroft, Sr.
Mrs. DeGroft was a Certified Nursing Assistant who worked for many years as a private nurse as well as a hospice nurse for both Lutheran Home Care and VNA Hospice. She enjoyed time with her family and also crocheting. In addition to her husband, Victoria is survived by two sons; Ronald V. DeGroft, Jr and his wife Julie of Littlestown, PA, Toby A. DeGroft and his wife Wendy of Hanover, PA, five grandchildren, Britney Hooper of Littlestown, PA, Nichole DeGroft of Littlestown, PA, Dustin DeGroft of Littlestown, PA, Brady DeGroft of North Carolina, Chloe DeGroft of York, PA, 7 great grandchildren, a sister, Linda Baker of Bonneauville, PA, a brother, William S. Baker and his wife Liz of Gettysburg, PA. She was predeceased by two sisters; Catherine Baker and Andrea Baker. A Memorial Service will be held, Thursday, April 11, 2019 at 4:00 PM from the Bonneauville Catholic War Veterans Lodge, 28 Hickory Road, Bonneauville, PA. Online obituary and condolences available at monahanfuneralhome.com. "Email Address" would like to share the life celebration of Victoria Ann DeGroft. Click on the "link" to go to share a favorite memory or leave a condolence message for the family.